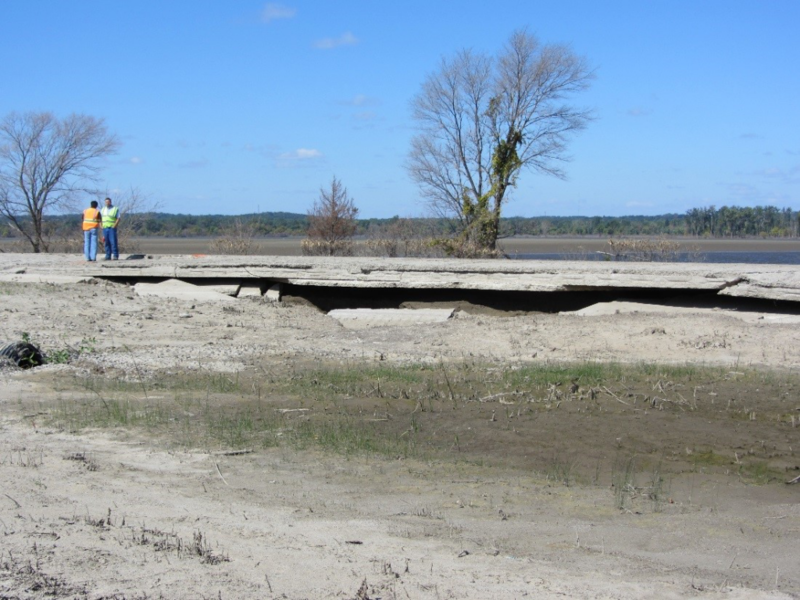 The 2011 Missouri River flooding caused significant damage to many geo-infrastructure systems including levees, bridge abutments/foundations, paved and unpaved roadways, culverts, and embankment slopes in western Iowa. 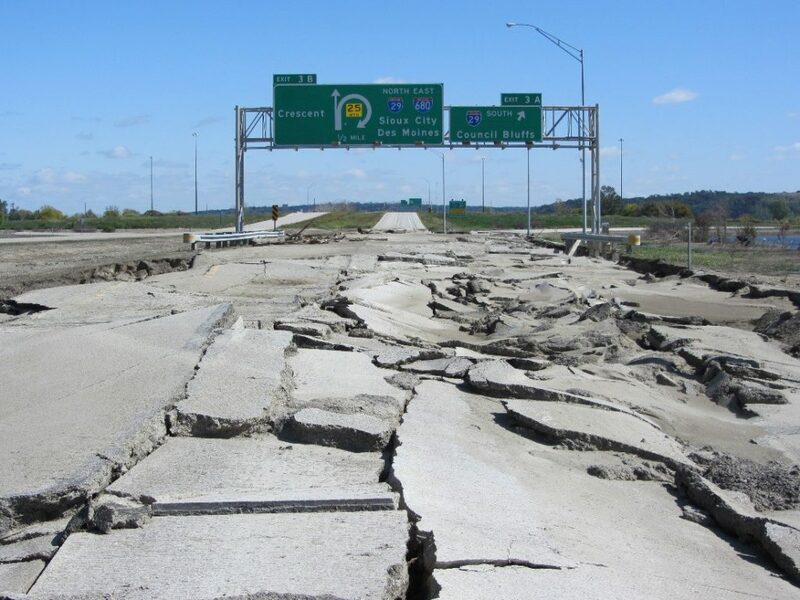 The flooding resulted in closures of several interchanges along Interstate 29 and of more than 100 miles of secondary roads in western Iowa, causing severe inconvenience to residents and losses to local businesses. 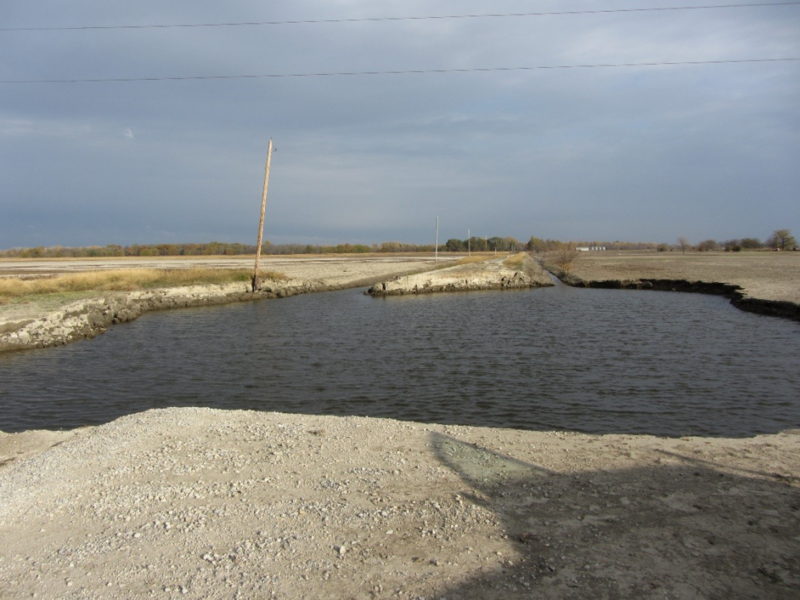 The main goals of this research project were to assist county and city engineers by deploying and using advanced technologies to rapidly assess the damage to geo-infrastructure and develop effective repair and mitigation strategies and solutions for use during future flood events in Iowa. 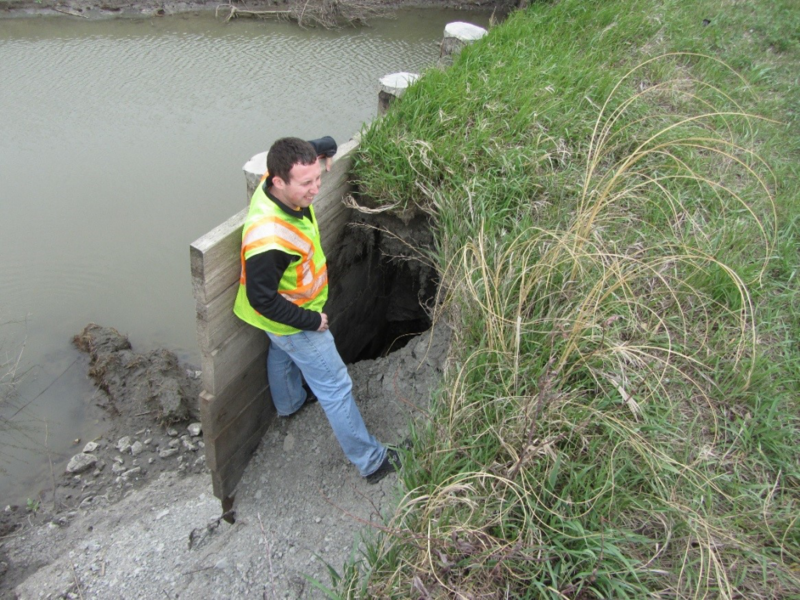 The research team visited selected sites in western Iowa to conduct field reconnaissance, in situ testing on bridge abutment backfills that were affected by floods, flooded and non-flooded secondary roadways, and culverts. In situ testing was conducted shortly after the flood waters receded, and several months after flooding to evaluate recovery and performance. Tests included falling weight deflectometer, dynamic cone penetrometer, three-dimensional (3D) laser scanning, ground penetrating radar, and hand auger soil sampling. Field results indicated significant differences in roadway support characteristics between flooded and non-flooded areas. Support characteristics in some flooded areas recovered over time, while others did not. 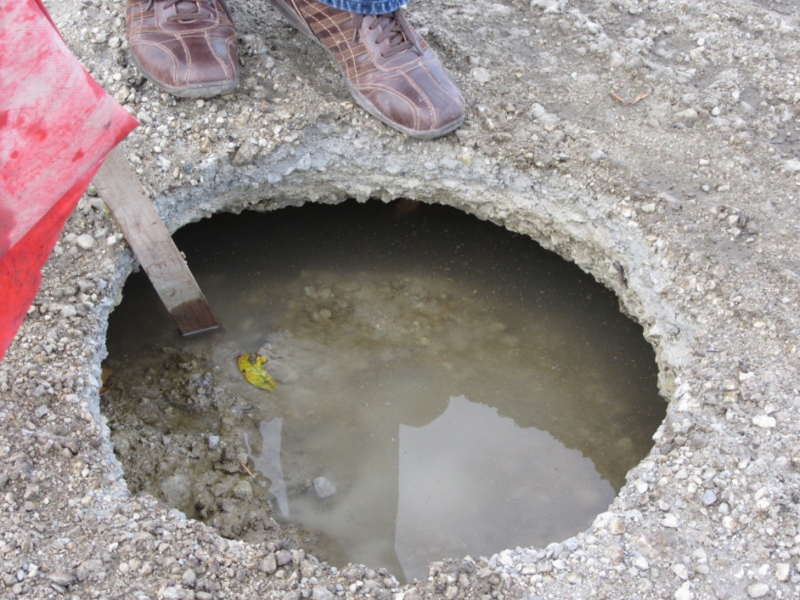 Voids were detected in culvert and bridge abutment backfill materials shortly after flooding and several months after flooding. A catalog of field assessment techniques and 20 potential repair/mitigation solutions are provided in this report. A flow chart relating the damages observed, assessment techniques, and potential repair/mitigation solutions is provided. These options are discussed for paved/unpaved roads, culverts, and bridge abutments, and are applicable for both primary and secondary roadways.